There are so many ways you can go in terms of color scheme for a master bedroom, and often people will want to go bold. However, there are some reasons you should consider avoiding a bright color scheme. Remember that your bedroom is primarily for sleeping, and when you’re trying to drift off, those bright colors can be awfully distracting. Plus, when the sun comes up, those colors are likely to capture and diffuse more natural light than something darker. 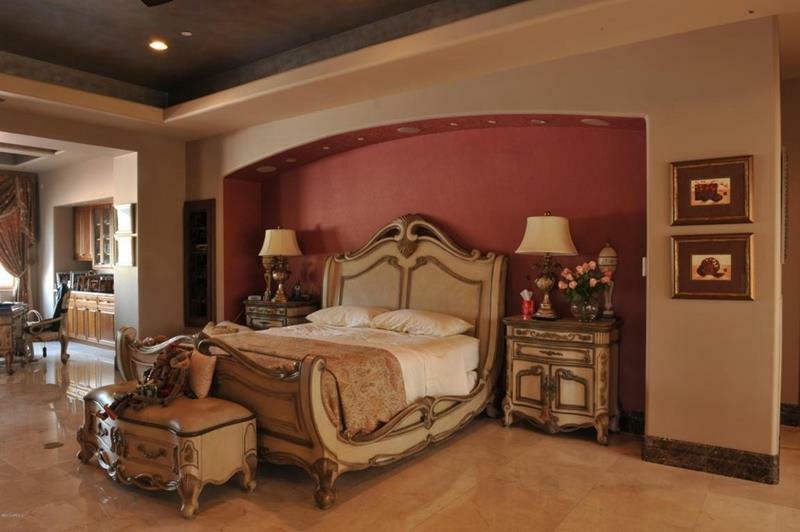 For this reason, we’re always inclined to recommend a brown color scheme for master bedrooms. The muted natural tone creates an environment that’s thoroughly relaxing, while at the same time imparting the space with a kind of refined elegance that’s befitting of a luxury setting. The benefits of brown don’t end there, though! Because brown is such a neutral color, it also happens to be incredibly versatile! This means that you can incorporate those bolder color choices in certain places, all without letting them take over the design of your bedroom space. To show you what we mean, we’ve collected the following 25 amazing examples of master bedrooms with brown color schemes. We think you’re going to love what you see, and that you just mind find some inspiration for a master bedroom design of your own. With an overall brown color scheme, this master bedroom design achieves a sense of dimension through the white beams on its vaulted ceiling. When you want to add a bit of a spark to a down master bedroom design, considering including a red accent wall. 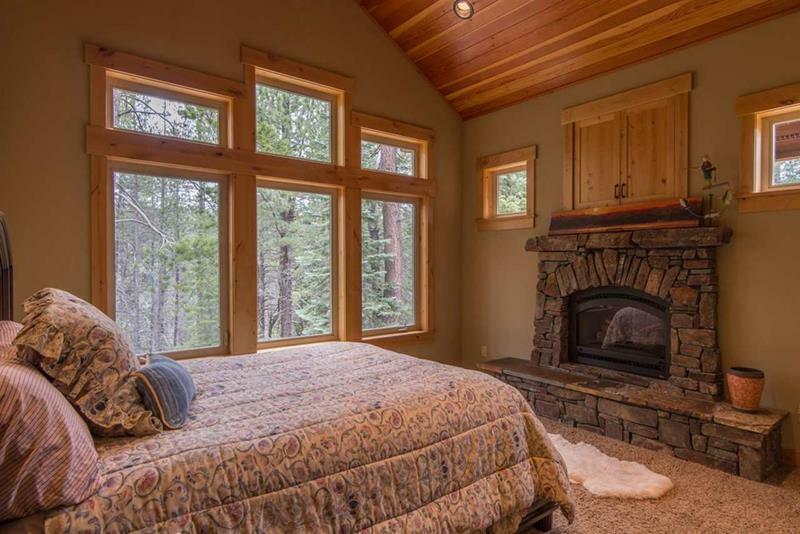 Brown was the perfect color choice for this master bedroom, which features beautiful wood and stone features. 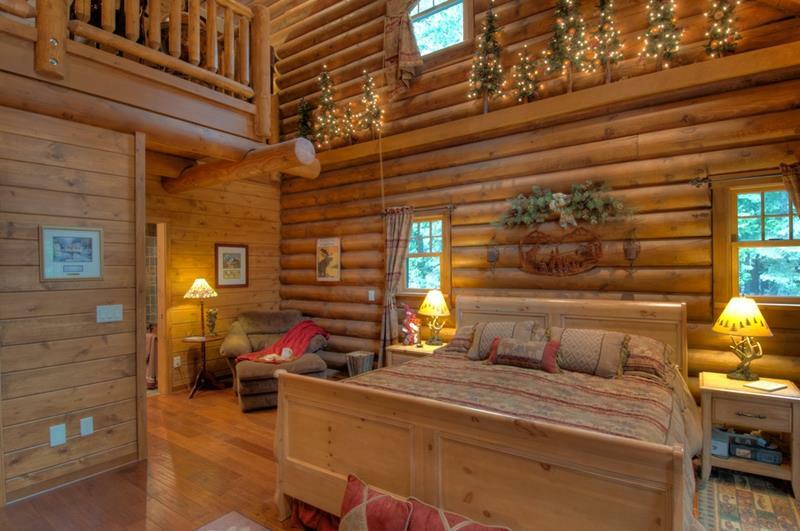 Those who are fans of rustic home designs will find a lot to love in this log-cabin inspired brown master bedroom.